There’s just no stopping Tom Hardy, is there? After breaking out with Inception, the man has been on an absolute roll. In recent months, we’ve seen him attach himself to a real-time thriller called Locke, the upcoming Splinter Cell adaptation, Daniel Espinosa’s Child 44, the gangster flick Cicero, a Mount Everest drama and a passion project of his titled Animal Rescue. Now it’s time to add one more to that list as the actor has signed on to star in Greg Williams’ Samarkand. 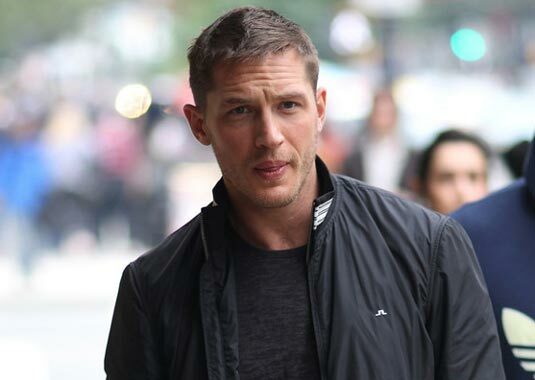 The film will have Hardy playing a “Special Air Service soldier who comes back from serving in the Middle East and has a hard time adjusting back to normal life as he suffers from post-traumatic stress disorder. ” Seems a bit generic but if Hardy is attaching himself to it, than the material must be good. Or it’s that he’s just eager to work with Williams again, as he starred in the director’s short film titled Sergeant Slaughter, My Big Brother. No word yet on when production will get underway on this one but with so much on the actor’s plate, it’s anyone’s guess. Honestly though, I’m not too eager to see the film and if we have to wait a bit for it to go into production, that’s fine by me. There are several other projects that I’d much rather see go first. In fact, this seems like the least interesting film out of the several that Hardy is currently attached too. As I said above, it seems generic and the story is something that we’ve seen countless times before. I’d much rather see him do Locke or Animal Rescue first, or even the Splinter Cell adaptation. It’s been a while since we’ve seen a really solid video game adaptation. That being said, Hardy is an undoubtedly talented actor and due to that fact alone, I’m sure Samarkand will at the very least be a decent film that gives the young star another opportunity to show off his acting chops, which never fail to entertain.